Jakarta. Indonesia is deploying more satellites in orbit in anticipation of growing demand for connectivity and to reduce dependency on foreign operators. Telekomunikasi Indonesia, the country's largest telecom operator, has scheduled the launch of its Telkom 3S satellite next Wednesday (15/02), to replace its first-generation satellite that will be decommissioned this year. Private satellite communication company Pasifik Satelit Nusantara (PSN) plans to launch its PSN-6 satellite in the next few months. Another Telkom satellite, Telkom 4, is in the pipeline to be launched next year. "Demand for satellite communication here will continue to grow, based on the fact that Indonesia is a vast archipelago of 17,000 islands with a population of 252 million people, an increasing number of which are mobile phone, satellite TV, or consumer broadband users," said Jonathan Hung, president of the Singapore Space and Technology Association (SSTA), a non-government organization that promotes space programs. Indonesia currently has more satellite operators than any other country in Southeast Asia. They are Telkom, PSN, Media Citra Indostar, Indosat Ooreedoo and lender Bank Rakyat Indonesia. But it still needs 100 satellite transponders to meet its telecommunication demands, forcing the country to rely on service from foreign satellite operators, the Indonesia Telecommunication Society (Mastel) said. The government received applications for landing rights – or permits to receive and broadcast signals from within its borders – from 31 foreign satellite operators in the first six months of 2016, double the number in the same period a year earlier, Mastel said in a statement. He expects Indonesia's satellite communication industry to grow at least 10 percent annually over the next few years, driven by growing demand for broadband data and video services. "There will be always be debate over satellite versus cable, but in an archipelago as big as Indonesia, satellite is the only feasible way to provide services to people," Hung said. Satellites also offer more safety, proven reliability and stability of service to provide internet connectivity, compared with novel alternatives such as high-altitude balloons, proposed by Google, or drones flying in the stratosphere, as proposed by social media giant Facebook, Hung said. Next to the telecommunications sector, the second-biggest demand for satellite communication comes from the corporate market, especially banking, Hung said. 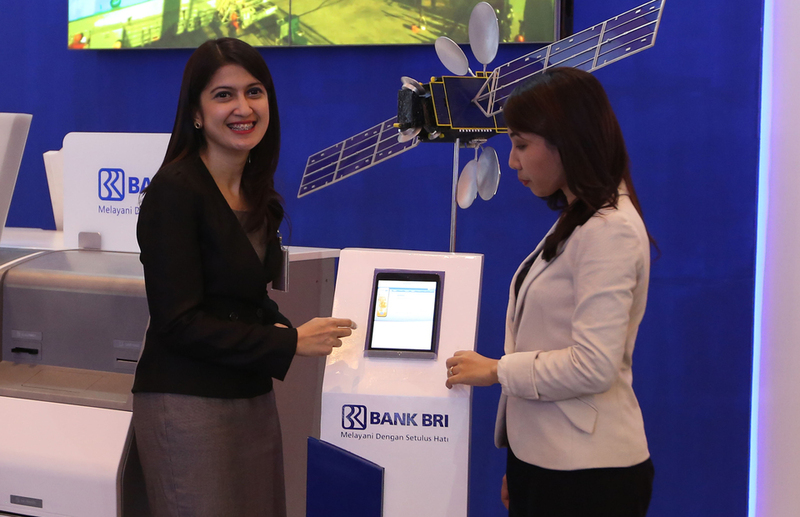 Last year, state-controlled Bank Rakyat Indonesia launched its own satellite to cut rental costs paid to telecommunication companies, as it strives to connect its branches and automated teller machines in the country's most remote areas to its head office. The lender argued that owning a satellite would cut costs and allow a faster recovery in times of service disruptions, compared to having rented a satellite from other companies. Earth observation satellites could also be in demand in Indonesia in the next few years, Hung said. Satellite makers now offer smaller satellites with improved capabilities, allowing them to analyze any data they gather from earth's surface before sending it to ground control. The Indonesian National Institute of Aeronautics and Space (Lapan) has been successful in developing earth observation satellites over the past few years, with the most recent being the Lapan A3, which was launched last June. Earth observation capabilities include monitoring and managing vessels at sea to detect illegal entry, as well as enhanced imagery that can detect feint volcano ash that could be used to warn people about impending eruptions Hung said. Hung was in Jakarta to promote the 10th annual Global Space Technology Convention, which the association will hold in Singapore on Feb. 22-24. Lapan head Thomas Djamaluddin will be among the attendees, as well as representatives from space agencies, satellite manufacturers and operators from around the world.